Everywhere you look we are finding more and more uses for technology. Our phones have turned into personal computers that we can carry in our pocket, we have numerous smart devices that help make our lives easier, and more and more tech is being developed every day. That is why there is such a high importance placed on STEM education these days. STEM stands for Science, Technology, Engineering, and Math. Basically, STEM educational products are designed to encourage kids to develop core skills in these areas. Lots of schools are offering more and more STEM immersion in their daily instruction. As the need for techonology, science and math increase, our kids need to be able to adapt to it and be able to work with it on a daily basis as they get older. We all know that it is easier to learn new things at a young age and STEM instruction is no different. There are programs, activities, and devices that can help the youngest of learners learn new technologies like coding. 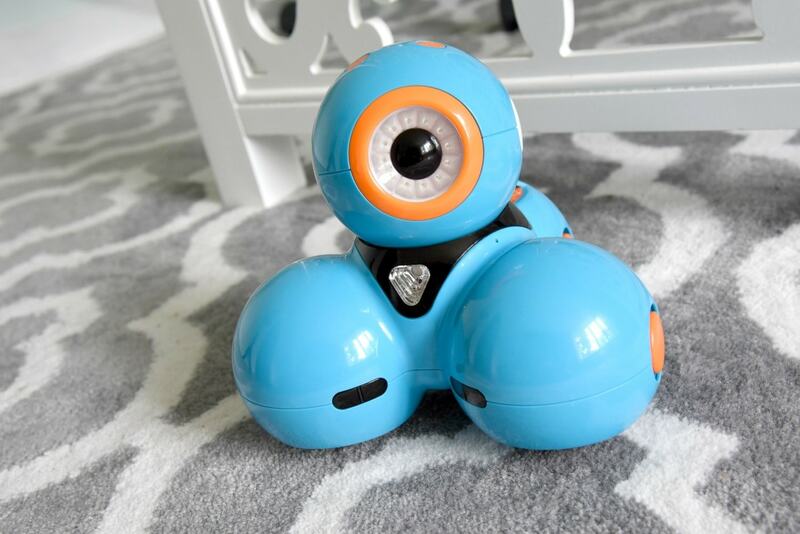 We recently were sent a Dash Robot by Wonder Workshop from Best Buy for my kids to play with. We have had a great few weeks learning about our new friend and learning ways to program him. Dash is a real robot for children ages 6+ that will teach a child how to code while they are having fun. 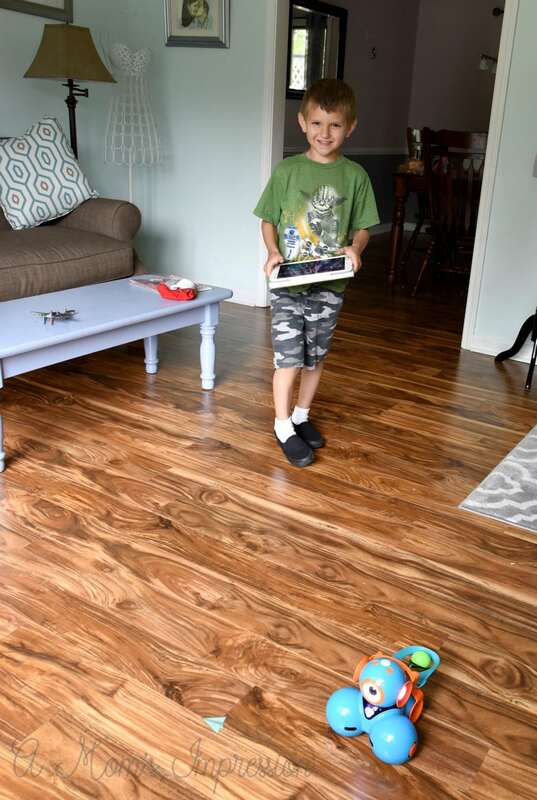 Using the Free Apple, Android or Kindle apps to program Dash to move, dance, light up, make sounds, avoid obstacles, and even react to your child’s voice. 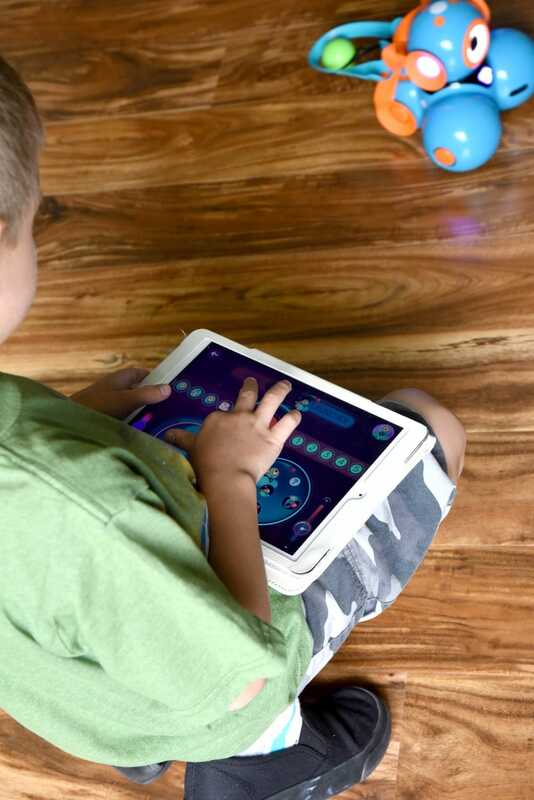 There are several different apps available for different types of play. These programs are the building blocks of coding. Dash makes coding easy and fun and gives your child strong creative and problem-solving skills for the future. As my kids are playing with Dash I can see them thinking about how they can make him do funny things. It’s those creative juices that I want to keep flowing. Dash presents your kids with hundreds of projects, challenges, and puzzles as well as endless possibilities for freeform play. He works by connecting to apps that you download onto a compatible device. Kids use these apps to move Dash around. 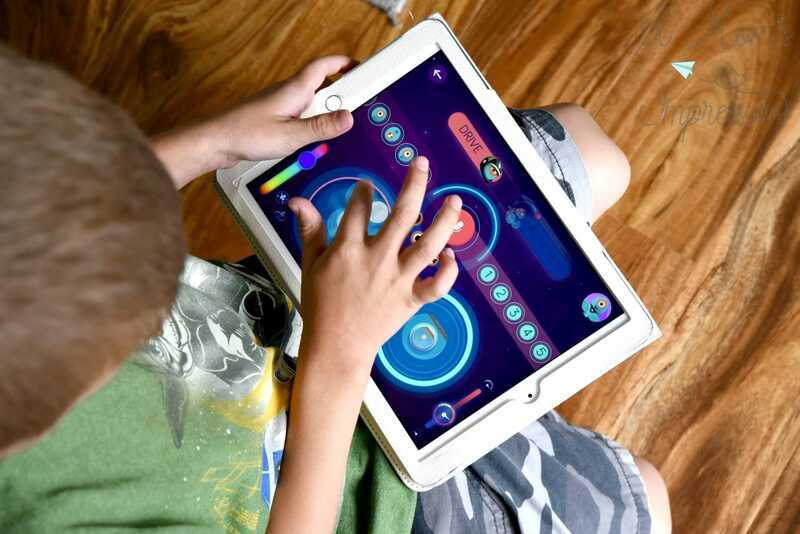 There are several free apps that will grow with your child as they develop their coding skills. We have already spent hours learning how Dash moves, speaks and plays. We have a few accessories to use with him and with those accessories, my kids are learning how to compose and how to manipulate an object in order to achieve a result. These are the building blocks to engineering! While Dash is recommended for kids ages 6 and older, I will say that Dash is great for STEM activities for preschool aged kids as well. My daughter was really into playing with him. She is able to navigate the robot around obstacles and change his appearance. Sure, her favorite thing is the animal noises, but that is why Dash appeals to many ages. In addition to our Dash Robot, we also received Dash’s Launcher and Dash’s Xylophone. 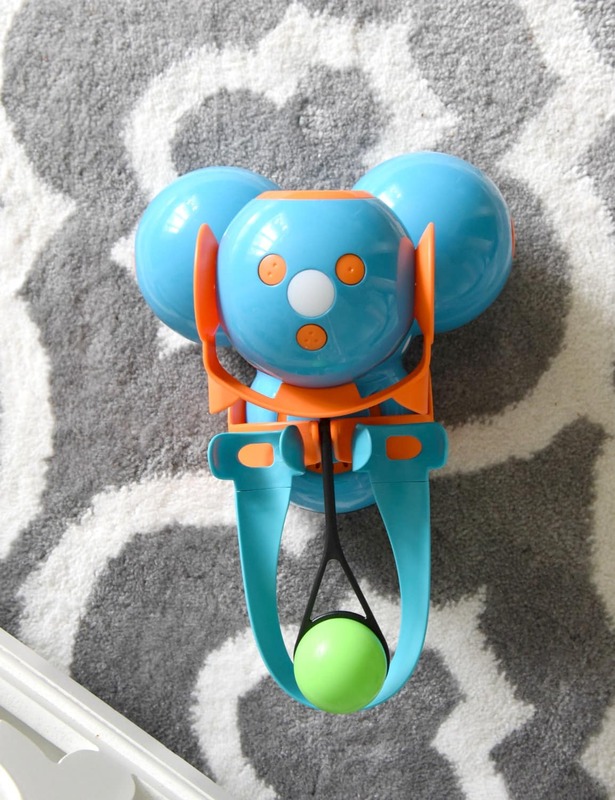 With Dash’s Launcher, the kids are able to launch a little ball at a target. The Launcher is connected to the Wonder App that you download onto a compatible device such as a tablet. The Launcher also comes with some targets that your kids can put together and try to knock apart using the launcher. This was my kids’ favorite accessory. They played with it for hours. My son would even hide in the other room, navigate Dash into my office, and launch a ball at me while I was working on my computer. He got a kick out of this. He would make Dash giggle and then run away. I have to admit that it was really adorable! My favorite accessory is Dash’s Xylophone. I love it because kids can compose their own songs and have Dash play them. I think it’s a really good introduction to composing music in a fresh new way. 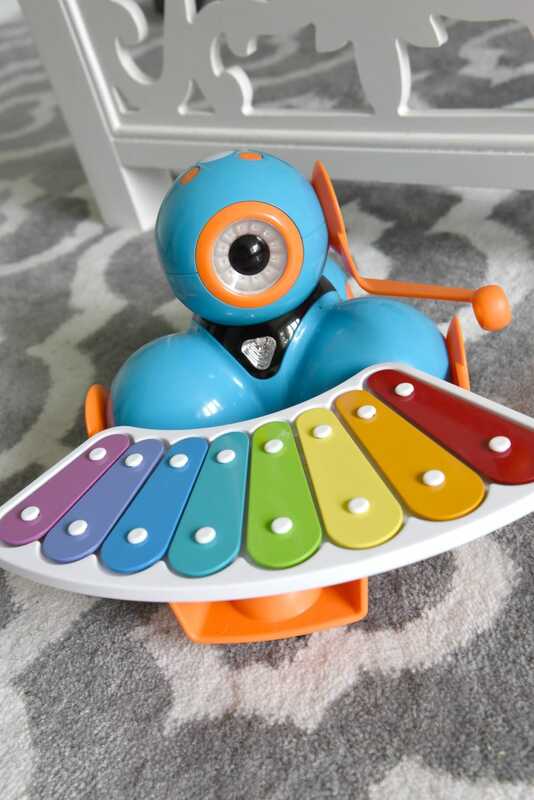 I also think it is adorable to see Dash plucking away on his Xylophone. Each accessory is easily attachable to Dash and after a quick demonstration, my 8-year-old could do it on his own. There are additional accessories available for Dash and my kids are already looking into getting them. We have a lot to say about our new Dash robot. I thought it would be fun for you to see Dash in action so my kids and I put together this short video showcases Dash’s accessories and our favorite things. You can purchase Dash, his mini robot friend, Dot and all his accessories at Best Buy.